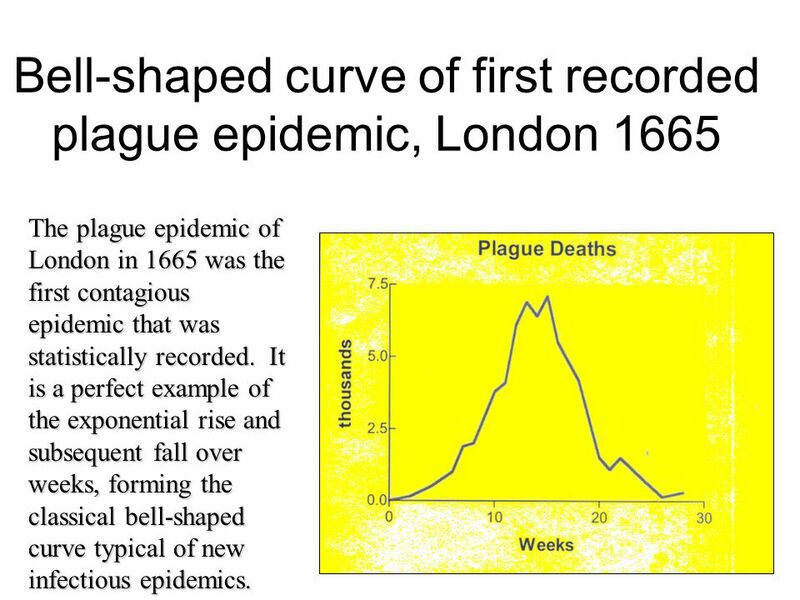 The plague epidemic of London in 1665 was the first contagious epidemic that was statistically recorded. 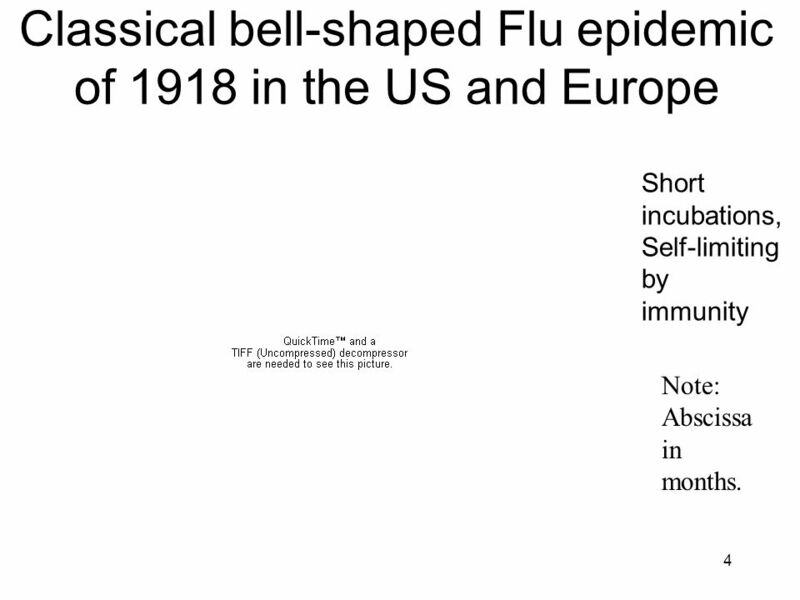 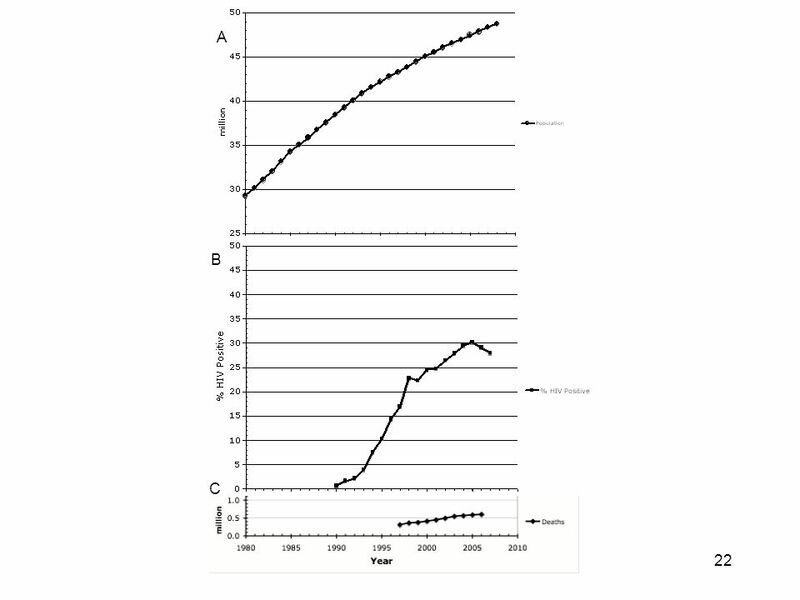 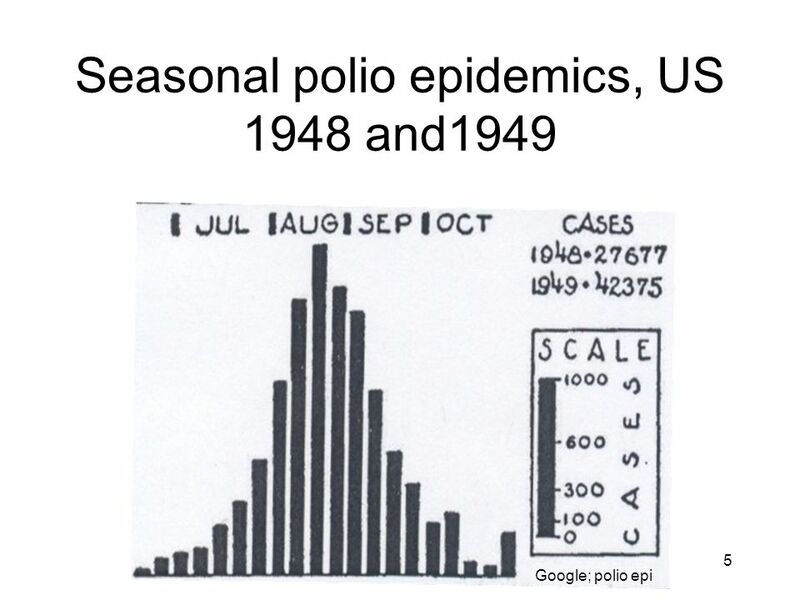 It is a perfect example of the exponential rise and subsequent fall over weeks, forming the classical bell-shaped curve typical of new infectious epidemics. 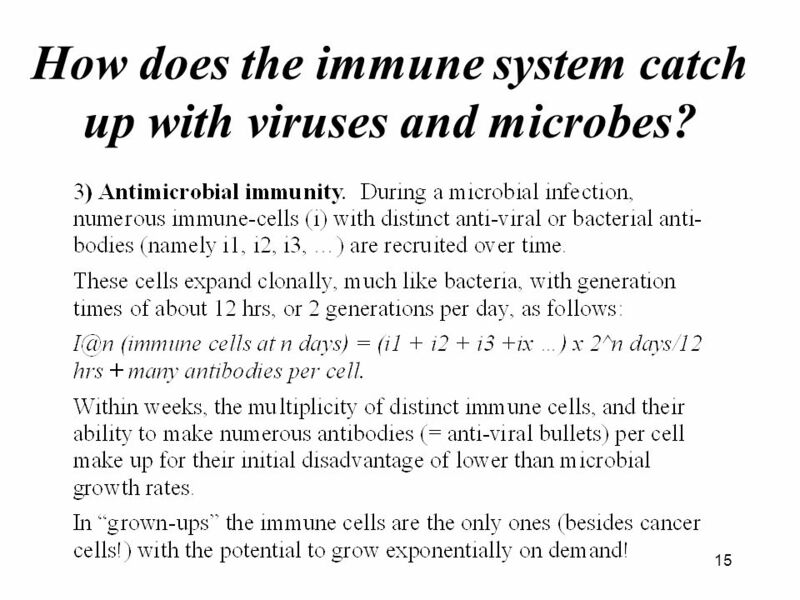 Short incubations, Self-limiting by immunity Note: Abscissa in months. 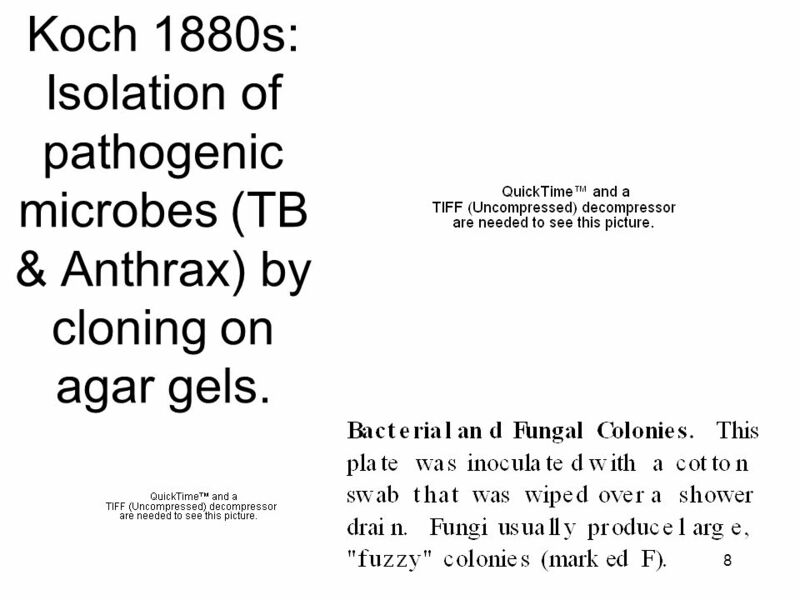 8 Koch 1880s: Isolation of pathogenic microbes (TB & Anthrax) by cloning on agar gels. 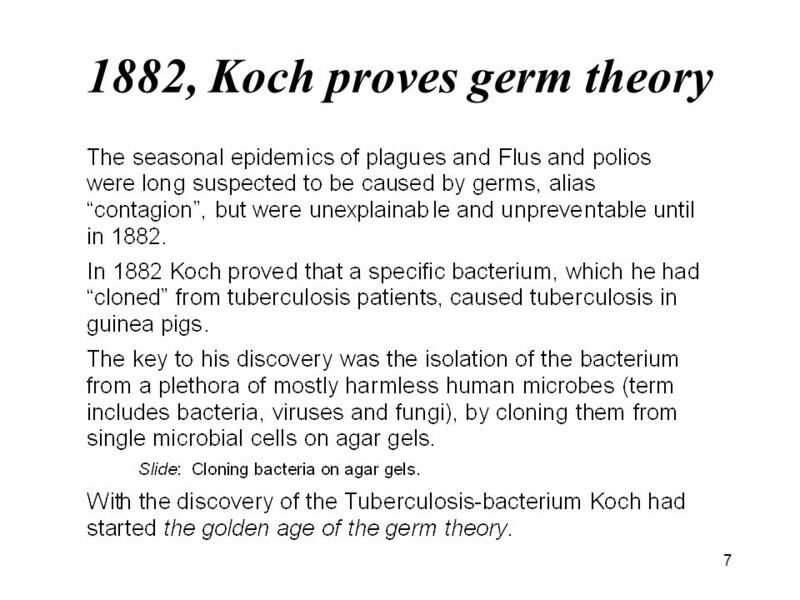 9 Koch’s postulates Years of research have been spent on organisms never proven to cause particular diseases. 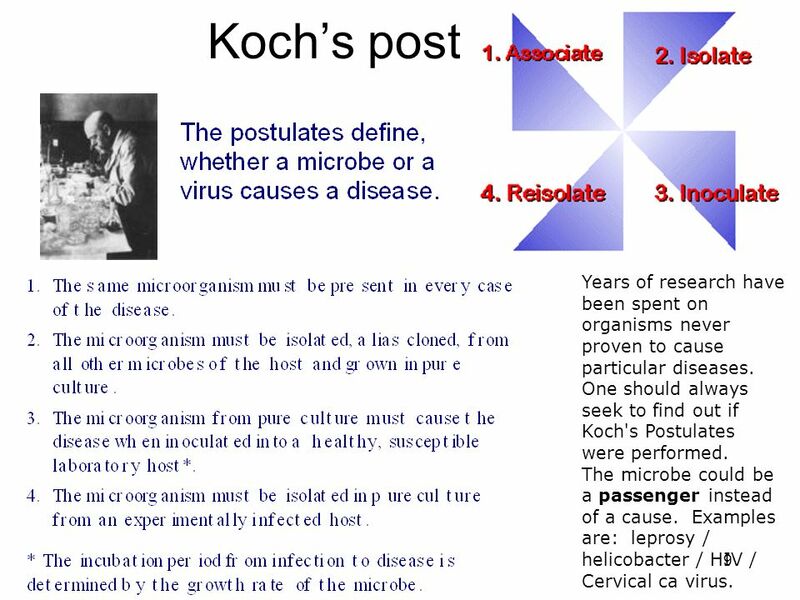 One should always seek to find out if Koch's Postulates were performed. 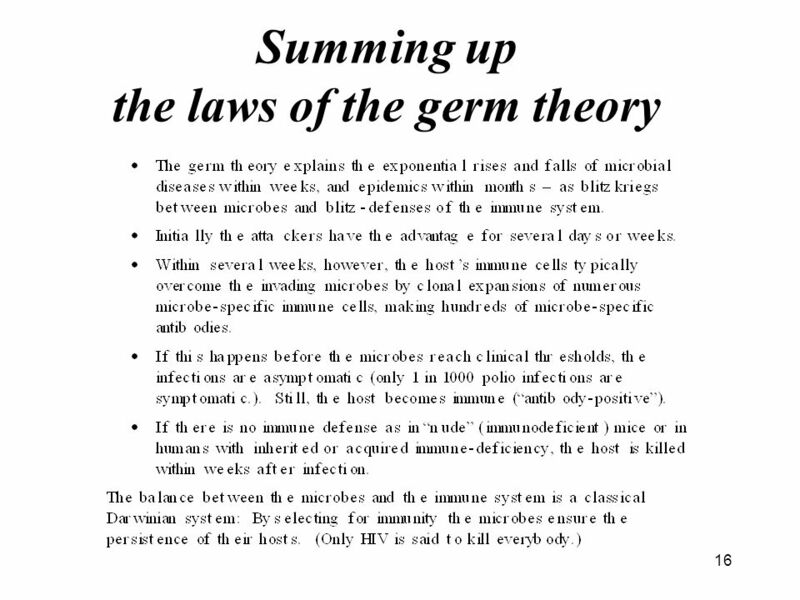 The microbe could be a passenger instead of a cause.  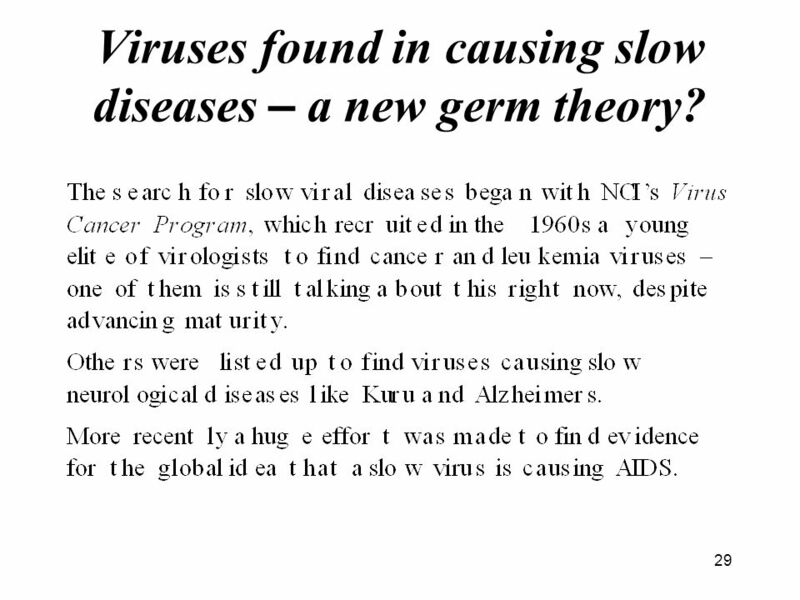 Examples are: leprosy / helicobacter / HIV / Cervical ca virus. 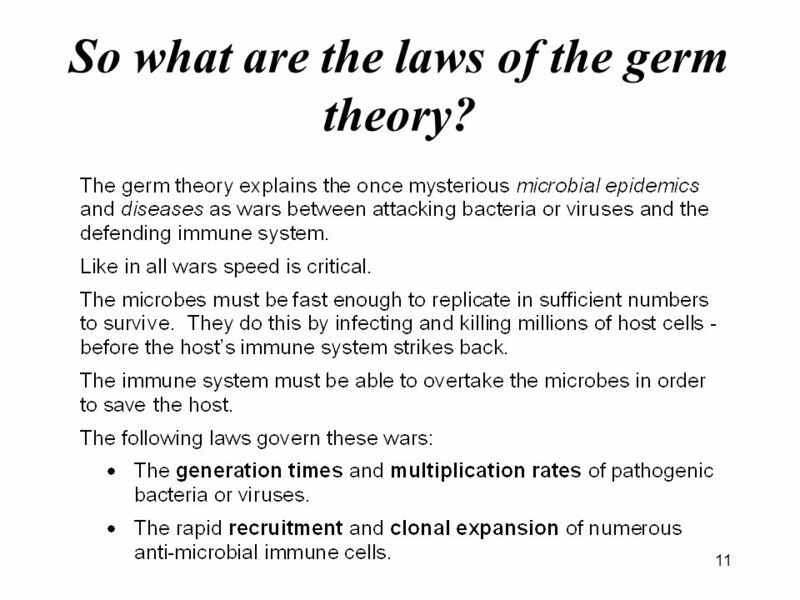 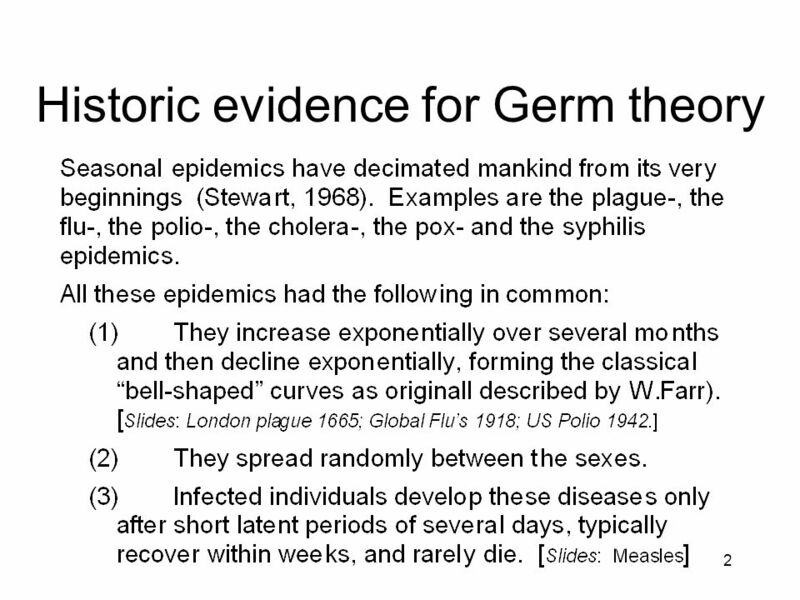 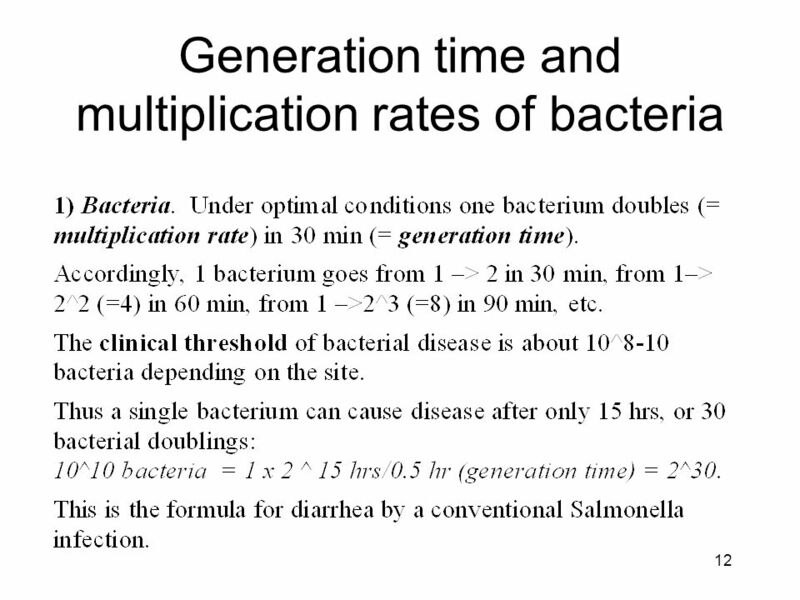 11 So what are the laws of the germ theory? 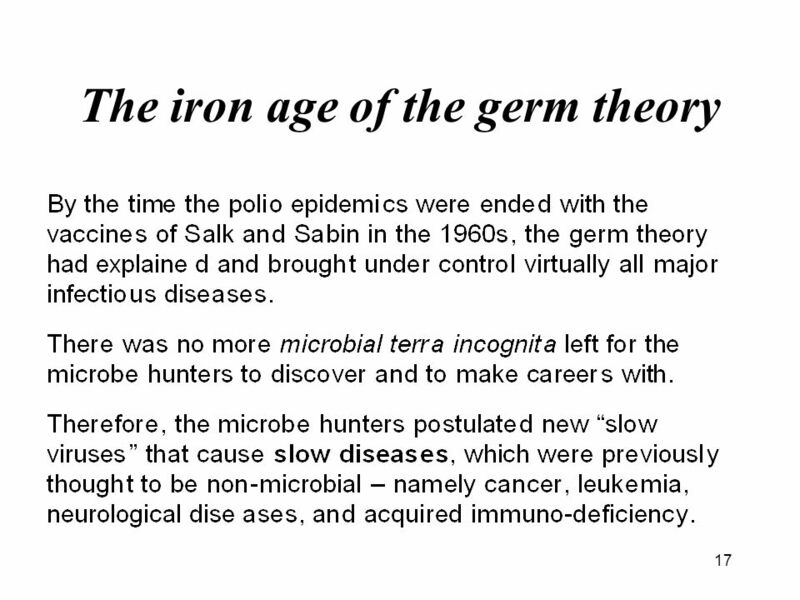 15 How does the immune system catch up with viruses and microbes? 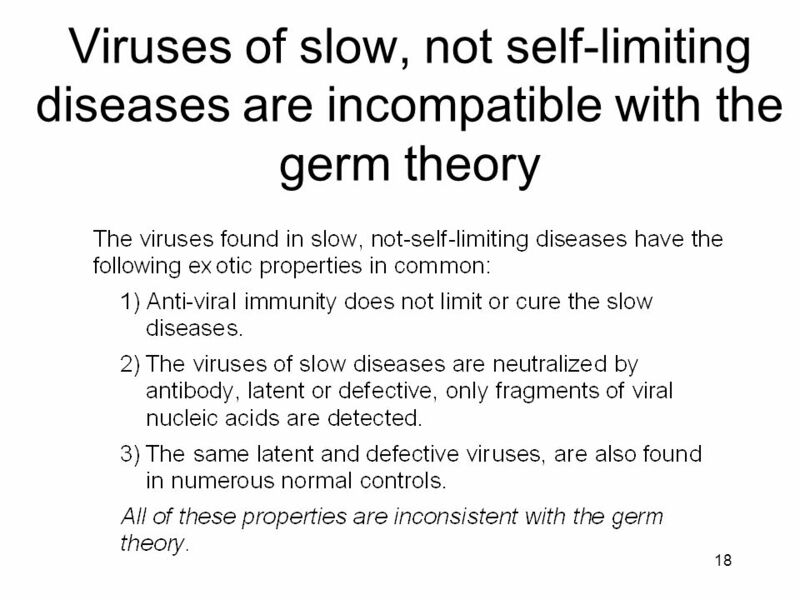 29 Viruses found in causing slow diseases – a new germ theory? 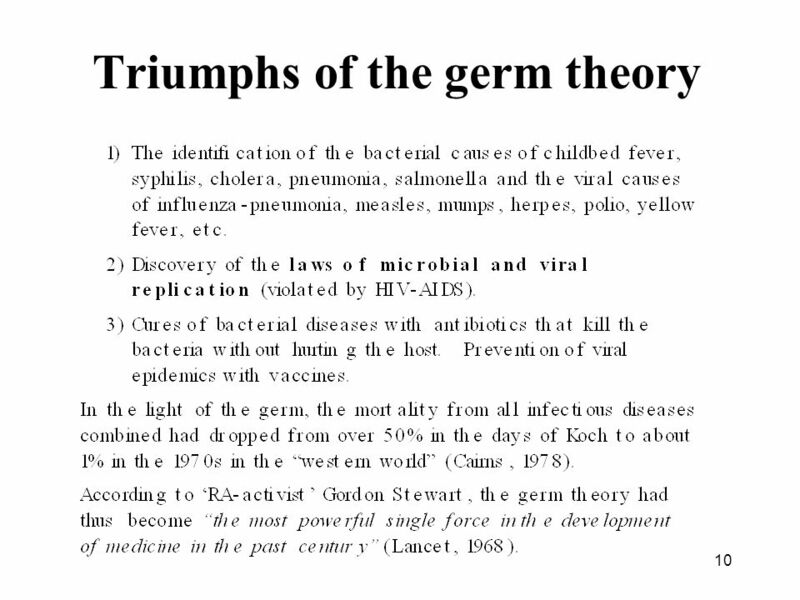 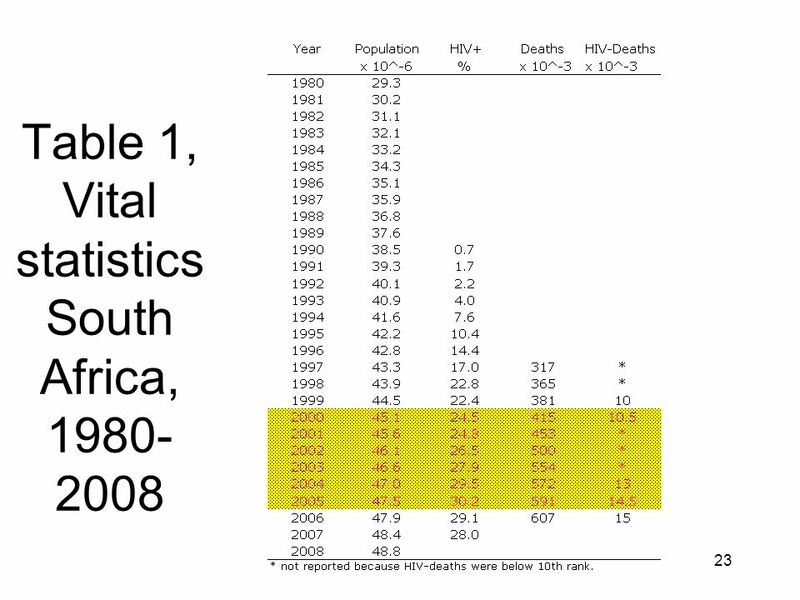 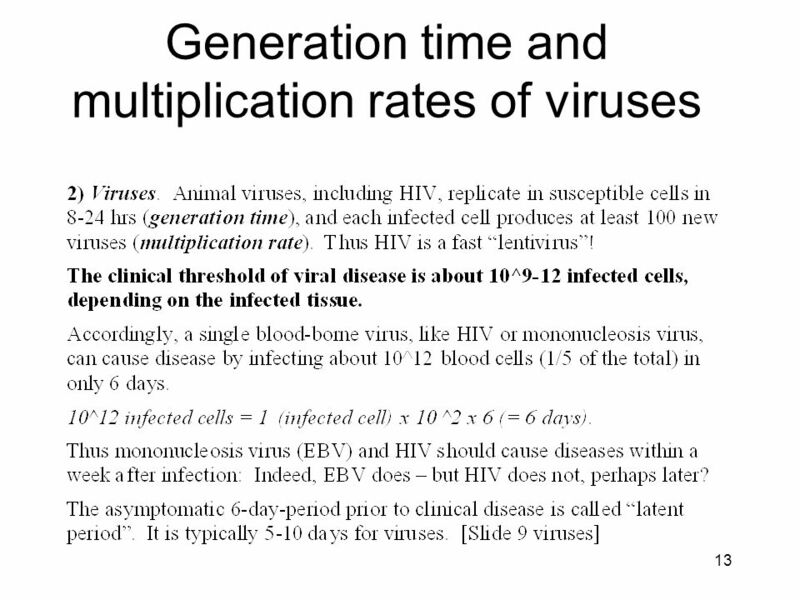 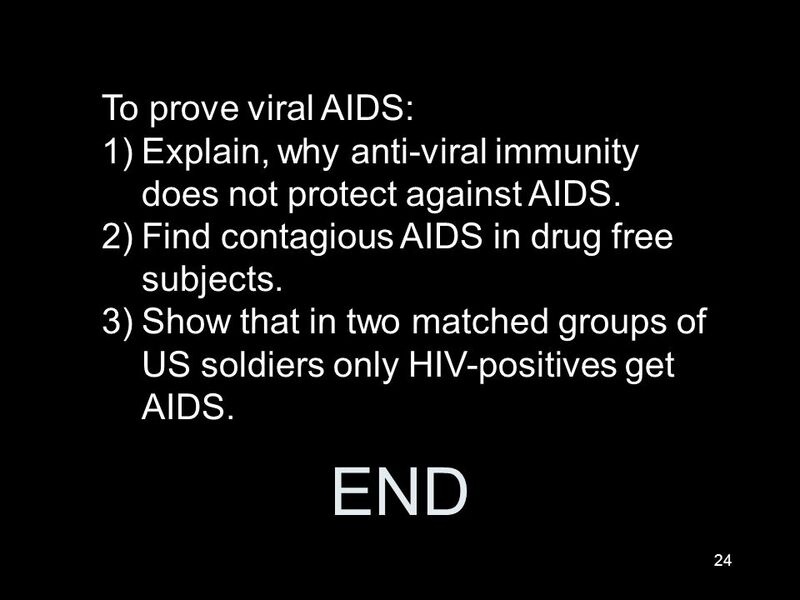 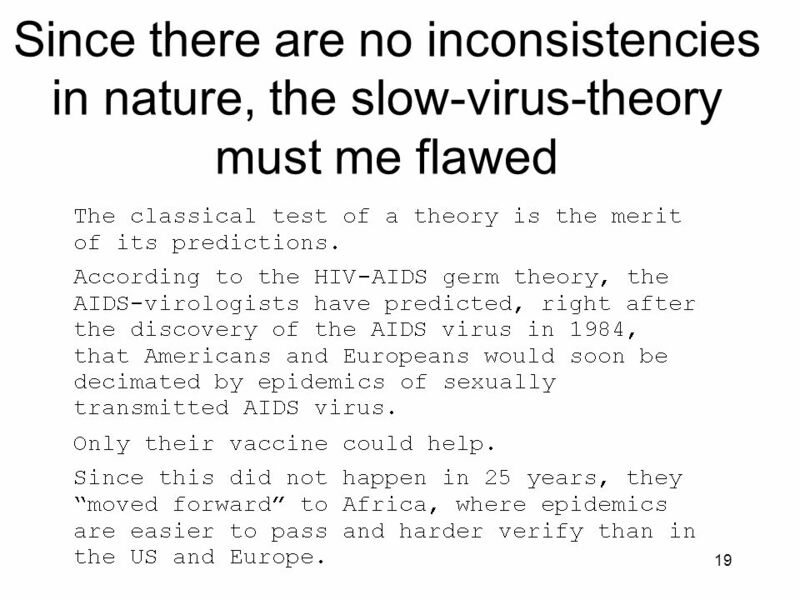 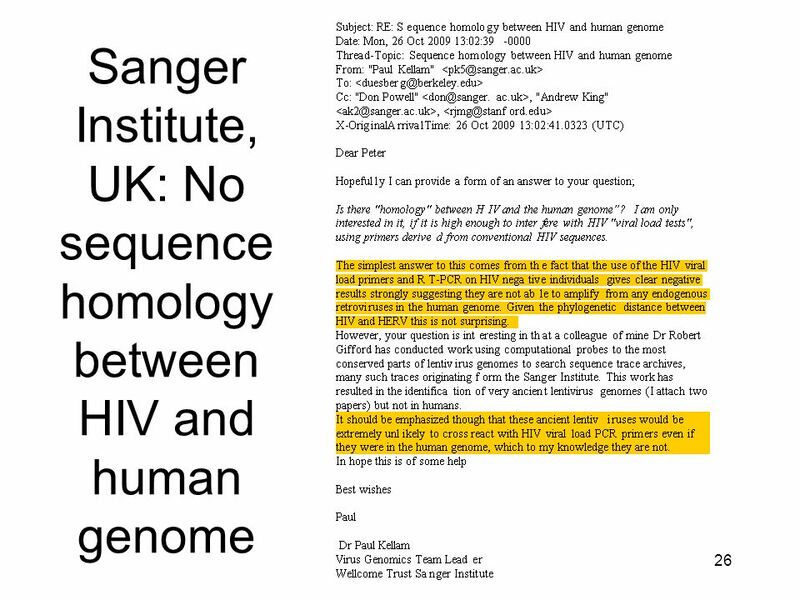 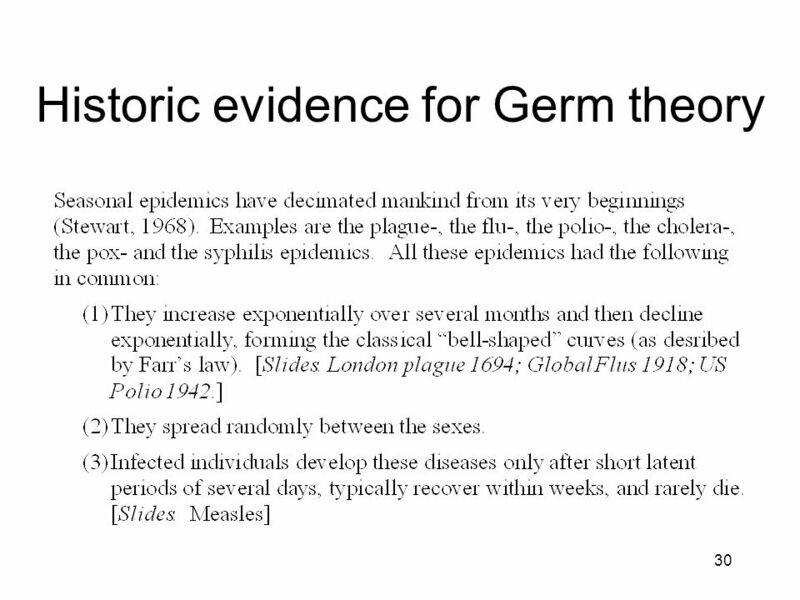 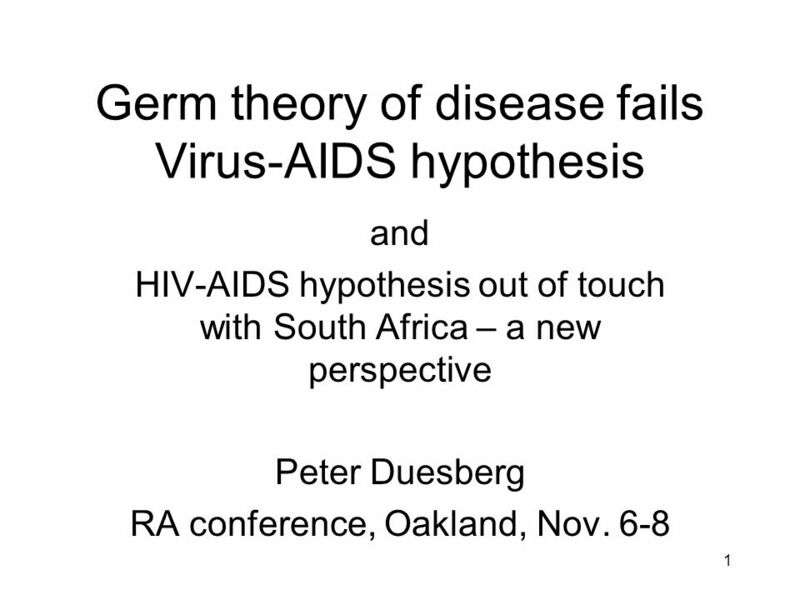 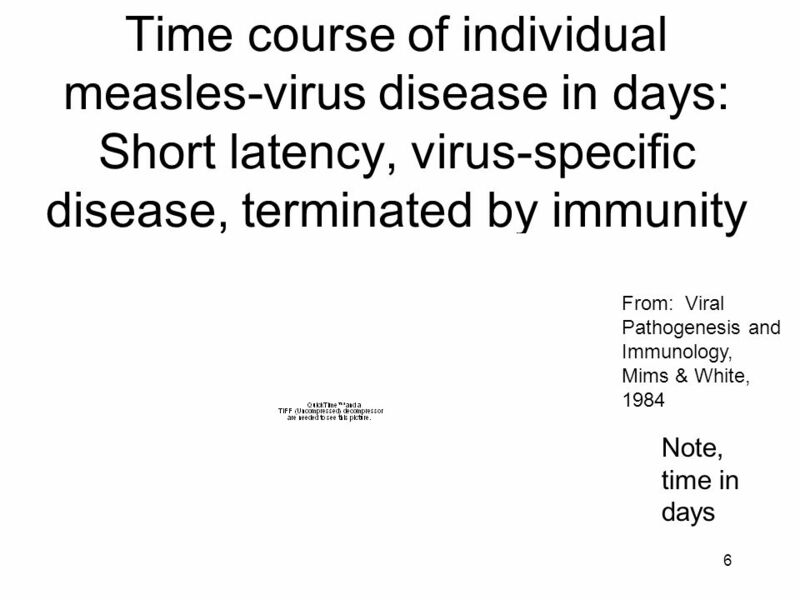 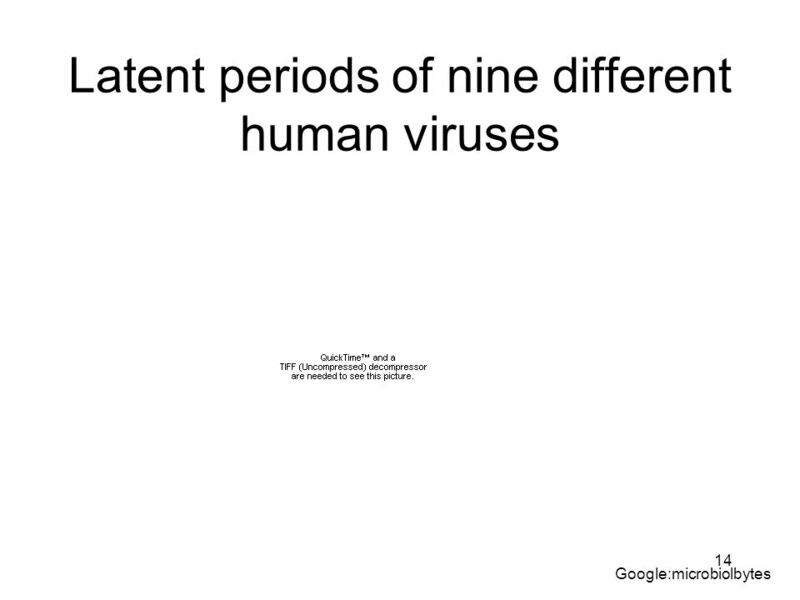 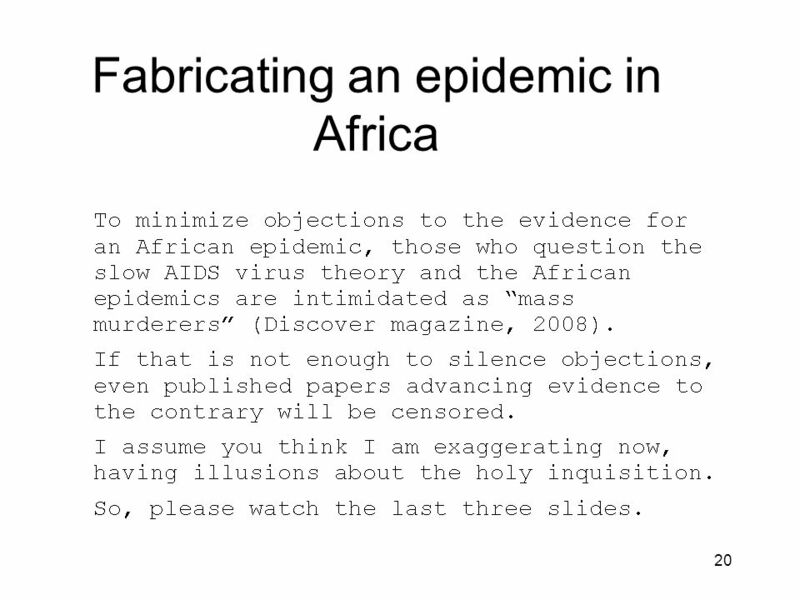 Download ppt "Germ theory of disease fails Virus-AIDS hypothesis"
1 Breadth First Search s 2 5 4 7 8 369.  2 s 2 5 4 7 8 369 0 Undiscovered Discovered Finished Queue: s Top of queue 2 1 Shortest path from s.